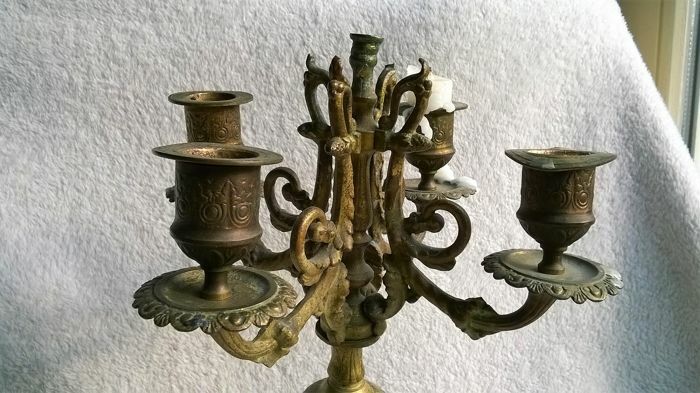 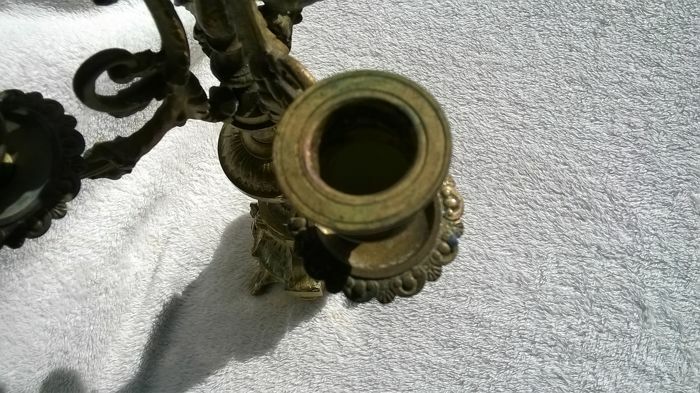 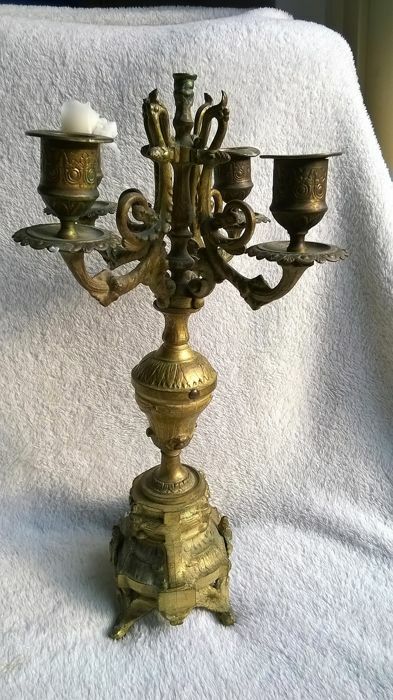 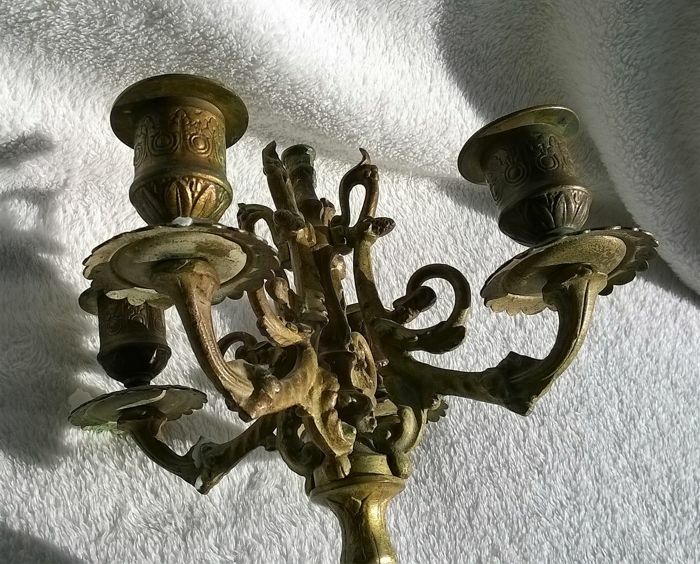 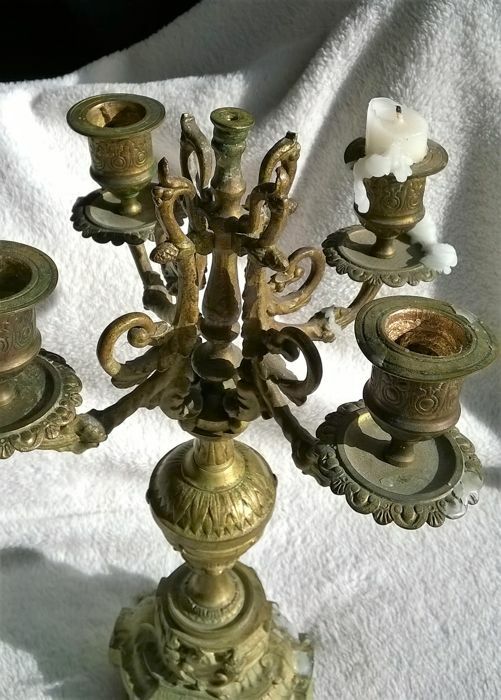 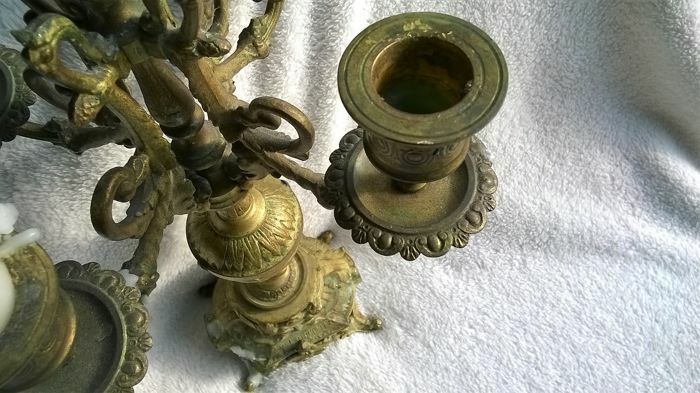 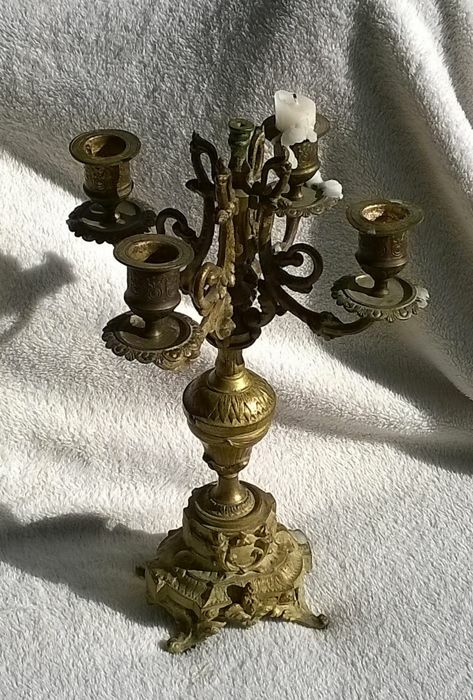 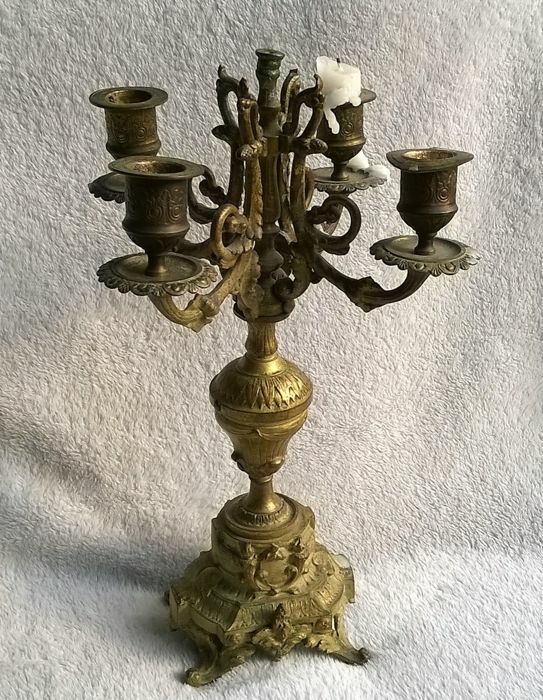 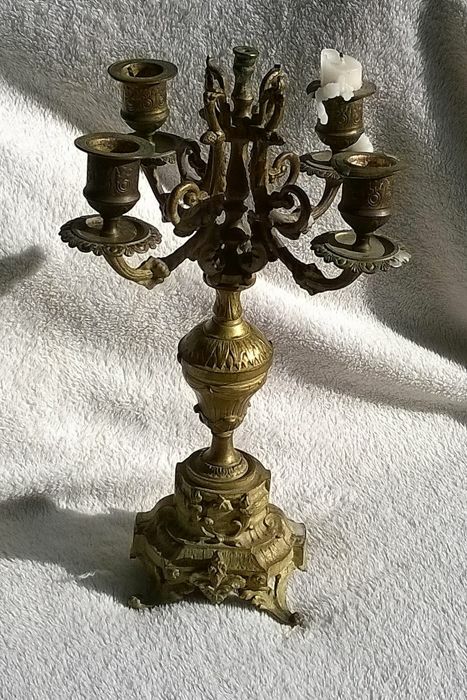 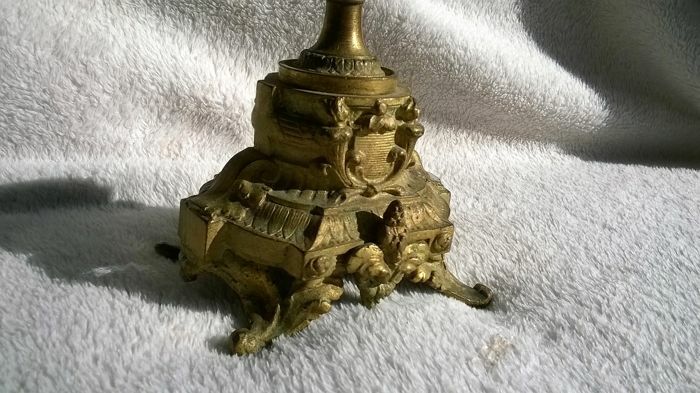 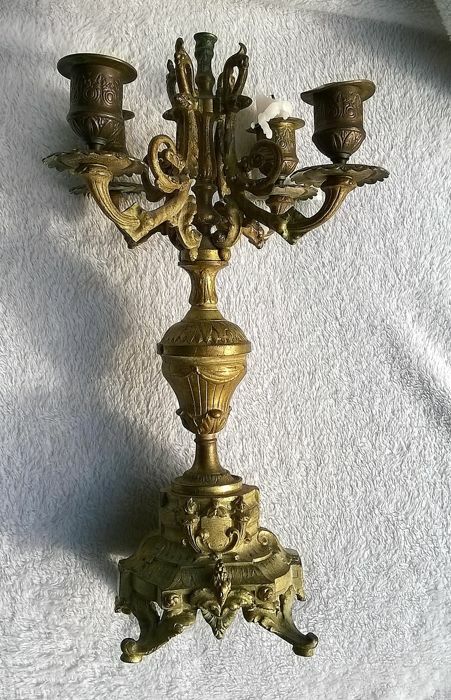 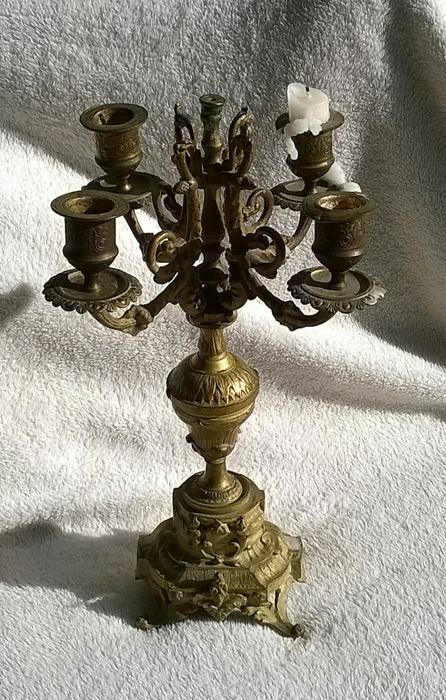 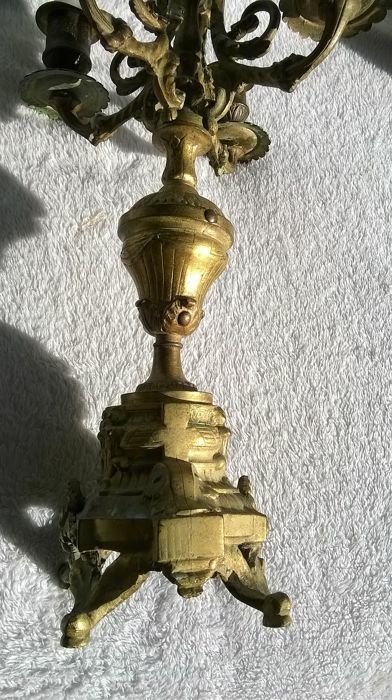 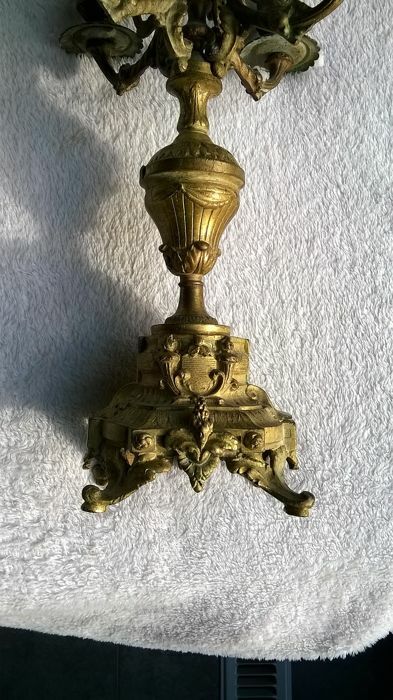 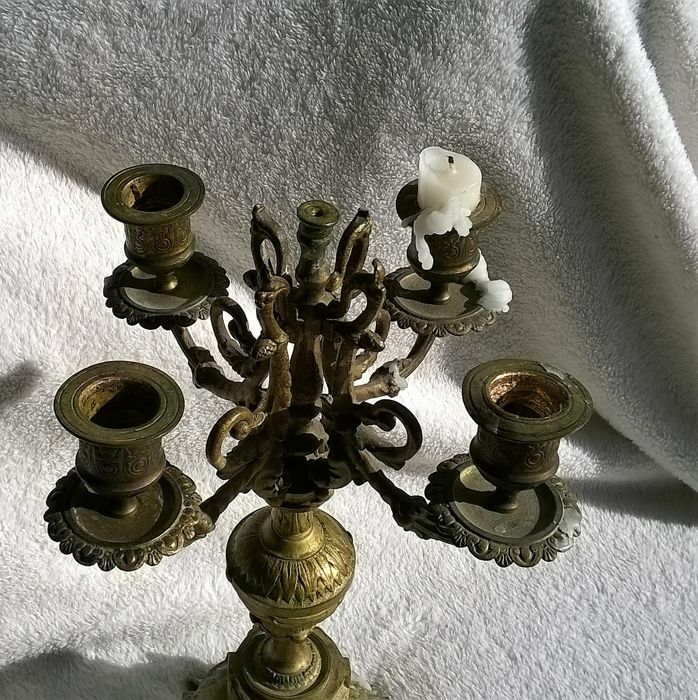 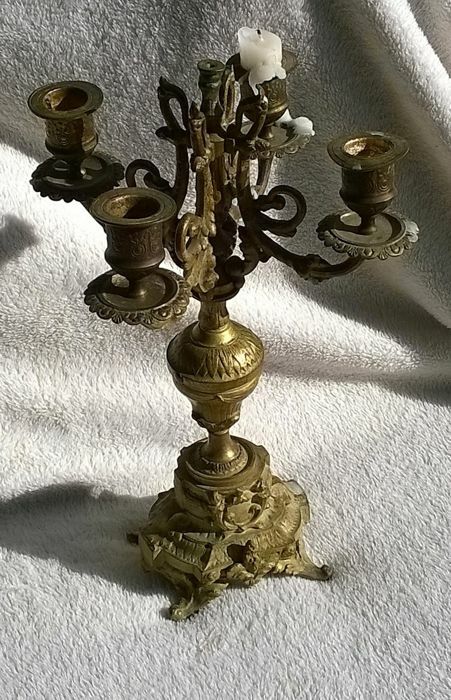 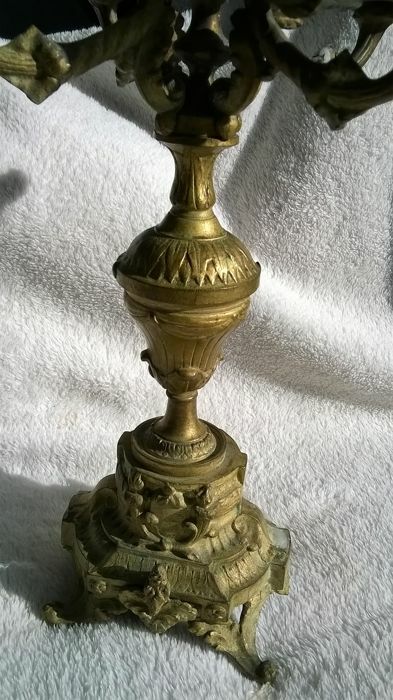 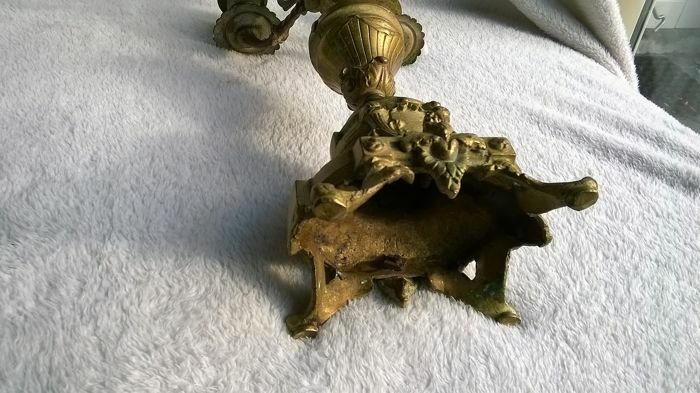 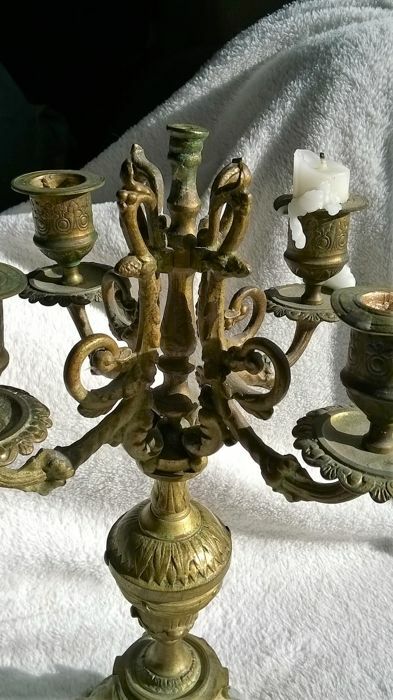 Description: Heavy bronze 4-light candlestick. 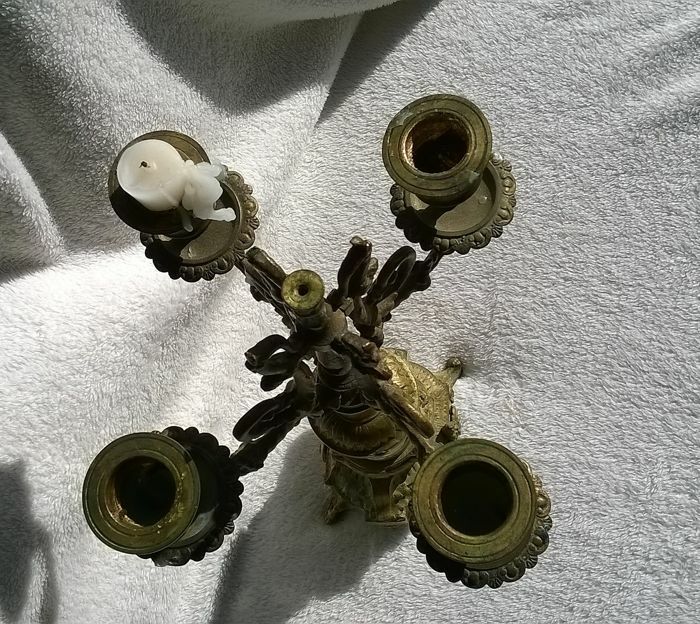 Officially 5 light-points, no holder at the centre on top. 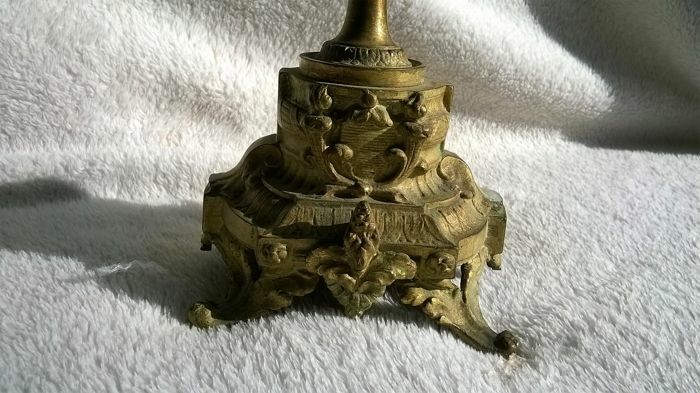 Marked at the bottom inside the foot with the letters FC or FG, still visible but the name used to be longer probably. 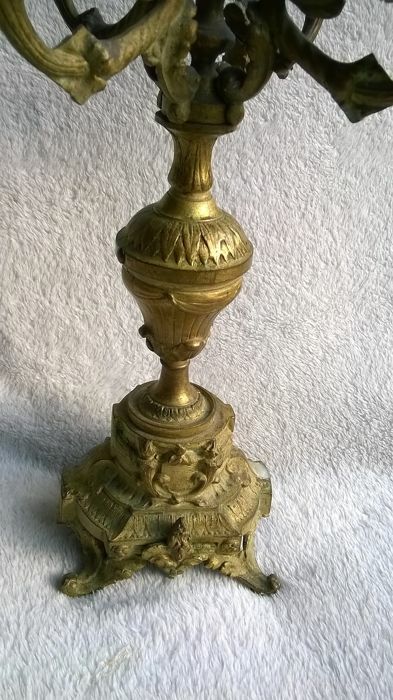 Dimensions: H 35 x length x width 15.5 x 15.5 cm.